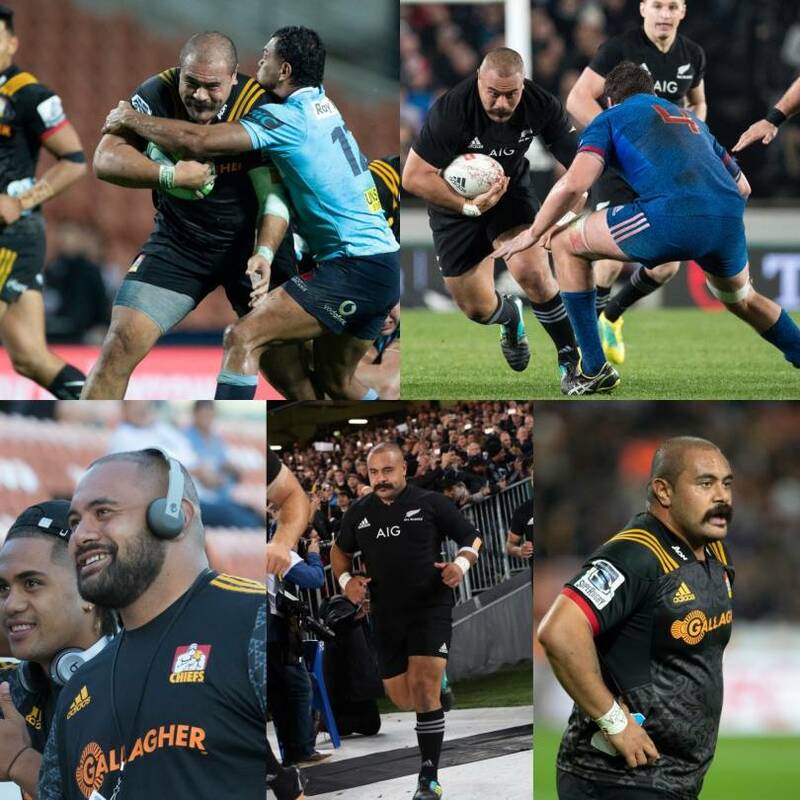 In the 46th minute of the first test of the All Blacks June series against France, Gallagher Chiefs prop Karl Tu’inukuafe came on for his All Blacks debut at Eden Park, the same stadium he made his Chiefs debut for just over three months ago. A thunderous scrum followed led by Karl in the front row, and at the close of play, Karl Tu’inukuafe had passed his first international test with flying colours. Not one person could have foreseen the remarkable rise Karl has made in the last three months. Coming in as injury cover for the Gallagher Chiefs, the humble prop had trained with the team throughout pre-season and was deservedly awarded a place in the team as an injury replacement player where he made his debut against the Blues at the start of the month. A Chiefs fan from his high school days, Karl couldn’t believe he was finally putting on the Chiefs colours and taking the field. The Chiefs culture has stood out to Karl since he has been in the team environment and he noted that emphasis on the team and not the individual. “The culture at the Chiefs is unreal. I guess playing is something that every player knows what to do, and the brotherhood here helps to push you further. A highlight for Karl this season has been the travel and seeing different parts of the world such as Japan and South Africa. The powerful prop commented on how strong fans support of the team is and the loyalty they show. And when the call up for the All Blacks came, it was such a surreal moment for Karl, one he struggled to believe was true. Out of rugby, Karl mentions he is a sweet tooth, and that it was a highlight to try out sweets he hadn’t had before in South Africa! “I am a bit of a sweet tooth! I remember when I was in South Africa, I was trying sweet food I haven’t had before – it was unreal.” Laughs Karl. Karl is in the All Blacks squad for the remaining two games of the June International series against France, where he will then link back up with the Gallagher Chiefs squad for the last three round robin home games of the season against the Highlanders, Brumbies and Hurricanes.